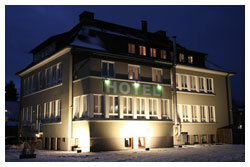 The Hotel & Restaurant Pfaffenmühle, your well-priced Hotel in Aschaffenburg is quiet situated though it is very central and within easy reach (walking distance to the city centre). Due to this it is often made use of by businessmen, families and event managers. Motorway 3 is not far away and Rhein-Main-Airport is in about 40 kilometres distance. 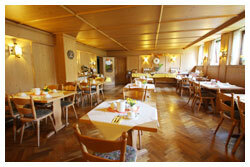 Also the recreational centre Spessart and Odenwald are great sources for your business trip or excursion. For our guests we have about 50 parkings in front of our hotel for free.